Alzheimer’s Disease (pronounced AHLZ-high-merz) is a complex neurological disease that affects the brain. Approximately 4.5 million Americans have this disease. Alzheimer’s Disease advances at widely different rates. The duration of the illness varies, but normally lasts from three to 12 years. The areas of the brain that control memory and thinking skills are affected first, but as the disease progresses, cells die in other regions of the brain. Eventually, the person with Alzheimer’s Disease will need comprehensive care. If the individual has no other serious illness, the loss of brain functioning itself will lead to death. The number of Americans with Alzheimer’s Disease will continue to grow – by 2050, the number of individuals with Alzheimer’s Disease could range from 11.3 million to 16 million. Finding a treatment that could delay onset of the disease by five years could reduce the number of individuals with Alzheimer’s Disease by nearly 50 percent within 50 years. In a Gallup poll commissioned by the Alzheimer’s Association, 1 in 10 Americans said that they had a family member with Alzheimer’s and one in three knew someone with the disease. Although many things about Alzheimer’s Disease remain a mystery, research continues to bring us a better understanding of the disease, more accurate diagnosis, and more effective treatments. No one knows yet exactly what causes Alzheimer’s Disease. Increasing age is the greatest risk factor for Alzheimer’s Disease. One in 10 individuals over 65 and nearly half of those over 85 are affected. Rare, inherited forms of Alzheimer’s Disease can strike individuals as early as their 30’s and 40’s. There are two abnormal structures in the brain associated with Alzheimer’s Disease. Amyloid plaques (pronounced AM i loyd) are clumps of protein fragments that accumulate outside of cells. Neurofibrillary tangles (pronounced NUR o FI bri lair ee) are clumps of altered proteins inside cells. A family history of the disease may be a potential risk factor. Some evidence suggests that disorders such as high cholesterol and high blood pressure—factors that cause strokes and heart disease—may potentially increase the risk for developing Alzheimer’s Disease. People with Alzheimer’s Disease experience difficulties communicating, learning, thinking and reasoning – problems which eventually may become severe enough to have a functional impact on an individual's work, social activities and family life. and later, for past experiences. 4. Disorientation in time and place. 8. Change in mood or behavior. There are several drug treatments that may temporarily stabilize symptoms or slow down the progression of Alzheimer's Disease. There are numerous care strategies and activities that may minimize or prevent behavioral problems. Researchers continue to look for new treatments to alter the course of the disease and other strategies to improve the quality of life for people with Dementia. The following stages fall within the more general categories of early-stage, mid-stage, and late-stage Alzheimer’s Disease. No cognitive impairment: The individual neither experiences or is observed to be experiencing memory problems. Very mild cognitive decline: The individual experiences memory lapses, usually for recently learned information. Examples include forgetting familiar words or names, or where his/her glasses are. Mild cognitive decline: Family, friends, or co-workers begin to notice difficulties. Problems with newly learned information or concentration may be measurable in clinical testing. Moderate cognitive decline: A careful assessment by a professional detects clear cut deficits in the following areas: decreased recall of recent events; impaired ability to perform challenging mental arithmetic or execute financial tasks; decreased ability to perform complex tasks, such as shopping or planning dinner for guests. Moderately severe cognitive decline: The individual experiences major gaps in memory. At this stage, individuals may: become confused about where they are or about the date; have trouble with less challenging mental arithmetic; need help choosing proper clothing for the season, eat poorly and may sleep excessively. Severe cognitive decline: The individual’s memory difficulties worsen, personality changes emerge, and affected individuals need extensive help with customary daily activities. At this stage, individuals may: lose most awareness, recollect personal history imperfectly, occasionally forget the name of their spouse or other close family members, need help getting dressed properly, tend to wander and become lost. Very severe cognitive decline: This is the final stage of the disease when individuals may lose the ability to meaningfully respond to their environment, the ability to speak, and ultimately, the ability to control movement. Memory loss is a natural progression of aging. lose the ability to process and retain information. Alzheimer’s Disease is not the same as having Dementia. Alzheimer’s Disease is one type of Dementia. Head injury can lead to Alzheimer’s Disease. There is no meaningful research to suggest that head trauma is directly or significantly linked to Alzheimer’s Disease. Drinking out of aluminum cans or cooking in aluminum pots and pans can lead to Alzheimer’s Disease. Though research does support some correlation with the presence of aluminum in the brain of individual’s with Alzheimer’s Disease, no clear causal relationship has been found. No one causal factor is attributed to Alzheimer’s Disease. 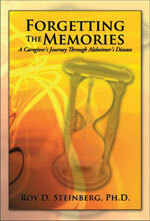 There are therapies available to stop the progression of Alzheimer’s Disease. Interventions currently available are designed to slow down and/or manage aspects of the Disease, but not stop, or reverse its course.